Home » Forums » Fun stuff » Tournaments » [Official] Tournament - Green Corner FFA (Saturday, 25th of August, 20:00 CEST). [Official] Tournament - Green Corner FFA (Saturday, 25th of August, 20:00 CEST). As you know, I created a poll where I asked the Curve Fever 2 community which tournament they want. Green Corner FFA tournament got the most votes (54), 1 vs. 1 Green Speed + Blue Eraser + 3 Circles finished 2nd with 50 votes and Thin + Swiss Cheese 3rd with 8 votes. Date & Time: Saturday, the 25th of August 20:00 CEST (GMT +2). Sign up deadline: Friday, the 24th of August 20:00 CEST (GMT+2). 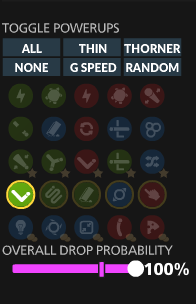 How to unluck Green Corner item? You can read about conditions for that from this topic: http://forum.curvefever.com/content/achievement-faq. For all official curve fever tournaments General Tournament Disclaimer: All official Curve Fever tournaments are subject to this disclaimer without exclusion. In order to keep tournaments organized and more enjoyable for everyone: Once the signup deadline is reached; no changes are made to its content that may be rules, the player list (no switches are allowed. People can be on the reserve list, this for max 1 hour after the signup deadline. In order of posts ,reserves can be added to the schedule if it doesn't get effected. ), times and days mentioned. Players must keep to the starting times of matches and as mentioned in the posts you must post results of each match in discord #tournament-results. [Additional] For Curve Fever 2, a user must have premium to signup. This tournament got canceled. For a reference of the reason and statement, please view this topic.